I take one of my hoops to work sometimes. 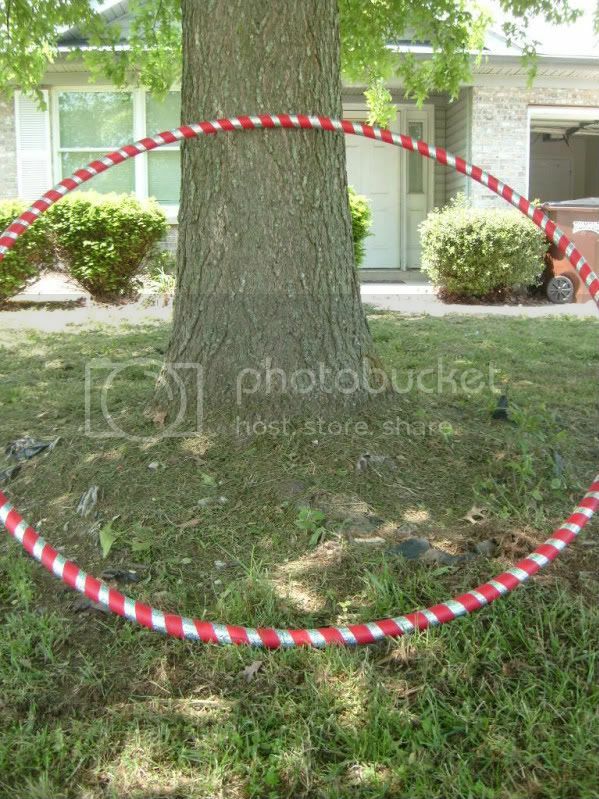 I used to have a crappy hoop there but it broke midspin. Therefore, I take my troo hoop sometimes. I had it there 2-3 days this past week. I started hooping on one of my breaks the other day. One of the housekeepers on my unit walked in. She always jogs at that time in the little exercise room at work. I was hooping. She started smiling and told me, "I've never been able to hula hoop as a kid but I tried that the other day and it worked! I loved it!" I started to give her the spiel on how it's larger and heavier. I took my hoop home because I don't trust anything there when I was off work for a night. I forgot to bring my hoop in last night. The housekeeper came up to me and said, "I missed the hoop last night." Maybe my hoop love should me more down beat and just let people come to the hoop on their own.